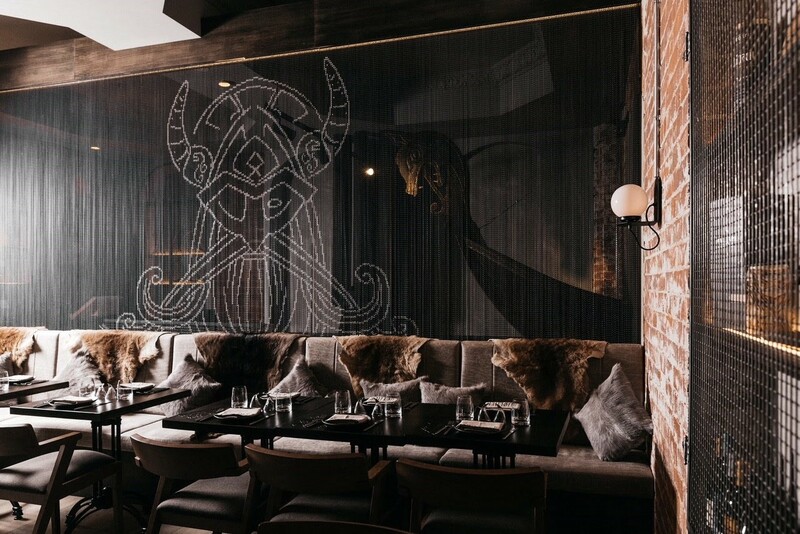 Located in Melbourne, Australia, Mjølner restaurant meet historic Viking features with contemporary Scandinavian design. Studio Y, multidisciplinary studio that specialises in bold, thoughtful and contemporary design, oversaw this project that combine leather, wood, brick and metallic furniture and decoration. Among all the opulent elements of Nordic folklore stands out the reproduction of the god Odin over anodized aluminium links, offering a unique dining experience.